A third factor hurting UNRWA’s finances is the decline of the euro. Since most of UNRWA’s contributions are donated in euros, the currency devaluation has resulted in a loss of $20-25 million over the last year. Additionally, in 2014 UNRWA spent $7.5 million just to bring materials into Gaza, a direct result of Israel’s draconian packaging and import regime. These same monies could be used to build four schools for Gazan children, which is vital given that UNRWA needs to build seven schools per year in Gaza just to keep pace with the increased school-age population. 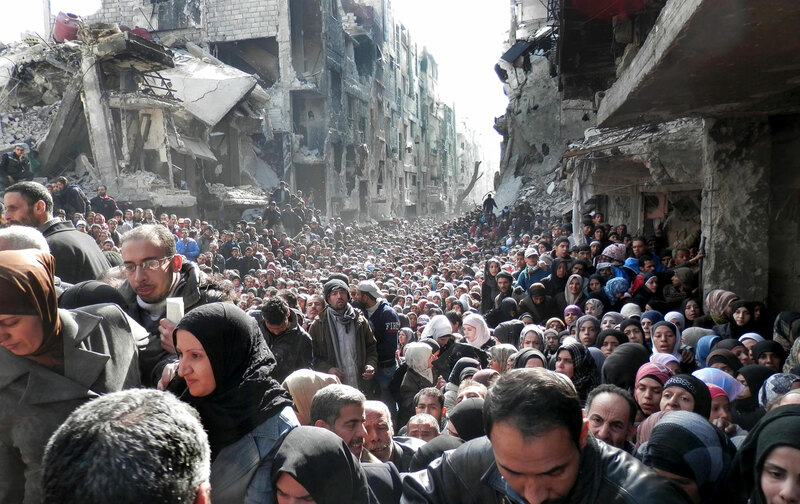 The crisis facing UNRWA also reflects a wider global problem, in which burgeoning need now exceeds existing resources. Not since World War II has the number of people exiled from their homes been so high, with nearly 60 million people who are refugees, internally displaced, or seeking asylum—one in every 122 people in the world. Yet the lack of resources is just one part of the crisis facing the humanitarian system; the inability to resolve political conflicts is the other. Furthermore, in the absence of political solutions, humanitarian aid has often become instrumentalized—that is, used to manage and manipulate political problems—as it has in Israel’s relationship with Gaza. In Gaza, dependence, debility, and dread have become the occupier’s politics of choice. Development, however constrained and limited, no longer has any role. The reasons are many, including the fact that donors do not want to see their projects destroyed in future conflicts. But the net result is that Gaza is condemned to relief, not progress, which is exactly what Israeli policy seeks, as stated so clearly by the IDF officer quoted at the outset. "With Palestinians, we've reached a policy of…agreeing not to envision solutions." Still, if relief is not an adequate response, it is nonetheless a necessary one, and a further reduction of UNRWA services (let alone their suspension or termination) will only deepen the sense of despair and abandonment already so powerful among Palestinian refugees wherever they reside. The political consequences of watching one’s children go hungry are clear. Who among us would endure such pain in silence? Sara RoySara Roy is a senior research scholar at the Center for Middle Eastern Studies at Harvard University. Her most recent book is The Gaza Strip: The Political Economy of De-development (2016).